Want a short cut to making fajitas full of amazing flavor? This one is a delicious low carb dish the whole family will love! I love these because it’s a family favorite that is easily made low carb! 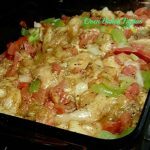 Oven baked fajitas are so good and if you are doing low carb you don’t have to miss out on this awesome meal. I enjoy these even more now wrapped in a big leaf of lettuce. 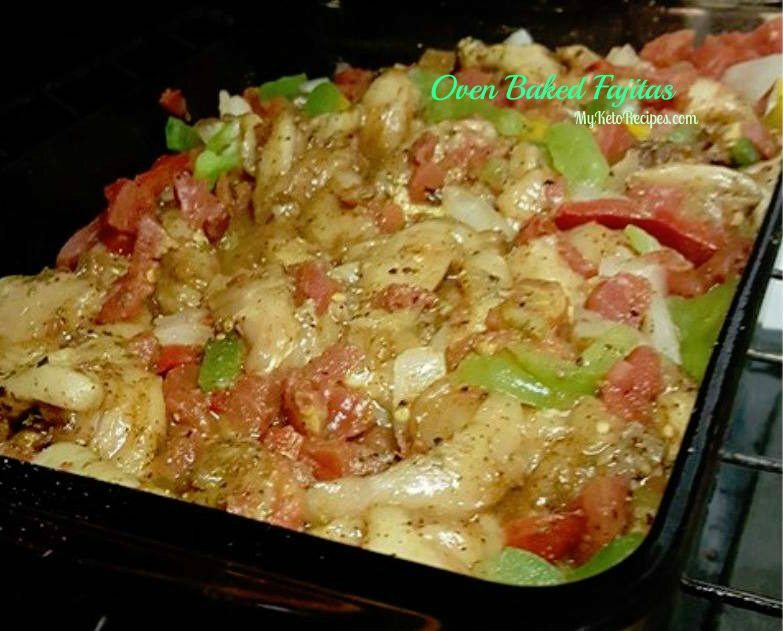 Topped with sour cream and salsa it is the perfect low carb meal and spicy flavor! You can also take a short cut and use a fajita flavoring packet, but I like to add the spices myself. Those packets have a lot of additives that aren’t so healthy. But if you are in a rush or don’t have the spices on hand, it’a great tip. You can make this with pork or beef as well. I have made it with pork and it’s really yummy! If your kids aren’t following a low carb lifestyle they can use whole wheat tortillas or even mix this with some brown rice. This is always a hit when we have company because it’s such a tasty dish and we can easily double the recipe to have lots to feed a crowd or for leftovers the next day. I love my low carb, ketogenic lifestyle and making all these amazing dishes for my whole family. Eating this way and drinking my Keto/os has really changed my life! I feel amazing when i get up each day and I have so much energy and not sluggish like I use to be before now. I recommend this way of eating to anyone who wants to feel better about themselves and healthy. There are so many benefits to a ketogenic lifestyle and there are so many options for meal plans that you are never stuck wondering what to eat. Previous articleFrom Skinny Fat to Healthy Fab!